Discreet charm of an authentic luxury. 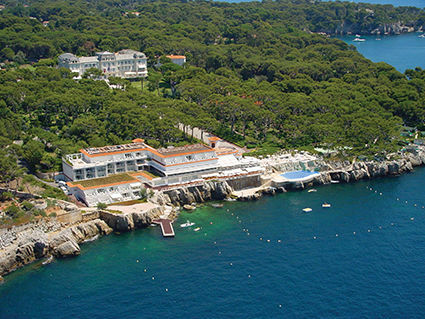 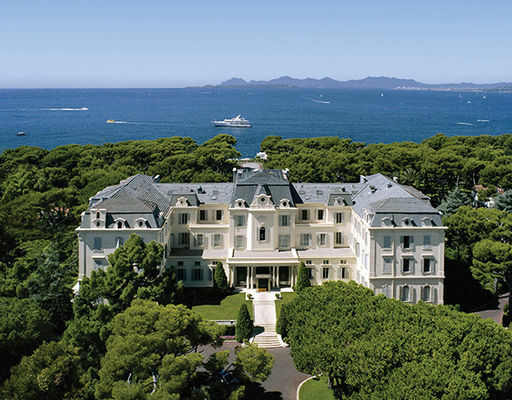 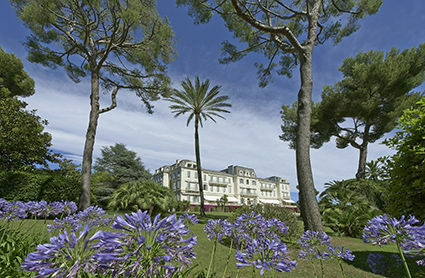 In a 22-acre park, situated at the tip of Cap d'Antibes, halfway between Cannes and Nice, the Hotel du Cap Eden Roc overlooks the Mediterranean sea. An incredible setting is home to the hotel where elegance and luxury are continually in perfect harmony. 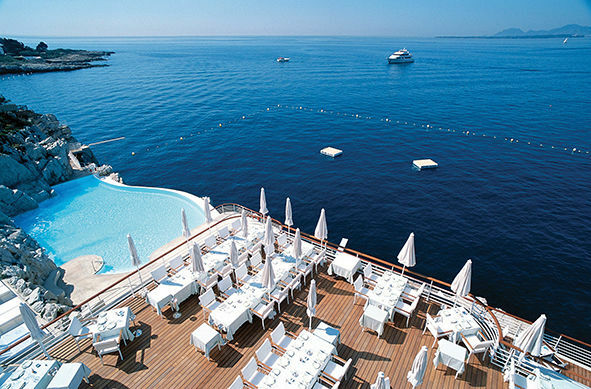 The resort offers a haute-cuisine restaurant Eden-Roc and its panoramic terrace, piano bar "La Rotonde", Grill Eden-Roc and Lounge Bar Eden-Roc with its culinary specialties such as sushis, its reception room, its heated sea water swimming-pool, its SPA Eden Roc Sisley, its 5 clay tennis courts as well as a private pontoon. 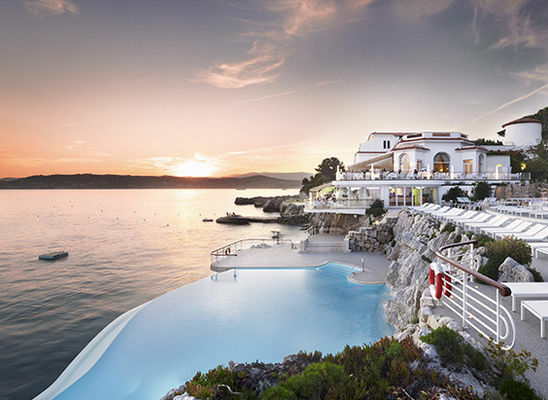 "Eden Roc" Champagne Lounge with panoramic terrace front of Iles de Lérins.